Life can be so hectic and noisy, assaulting us from all directions that we forget about the healing power of silence. And like the woman in the iconic commercial, you want to scream, "Calgon, take me away!" For centuries, people have used the practice of silence as a rest stop on their spiritual journey. In that silence we nurture our bodies and souls. Here, we can withdraw from the distractions and the noise pollution that can easily overwhelm us. Silence becomes our oasis. But when we are bombarded on a daily basis with cacophony, silence, as Gunilla Norris observes, "is something like an endangered species. The experience of silence is now so rare that we must guard it and treasure it." This means we must make time for silence. We must make room for it in our lives. Literally. At home, we can usually turn down the noise. If you do not already have a special place designated in your home, why not create one where you can lasso your sanity, rescue your spirit, and give it the care and attention it needs and deserves? 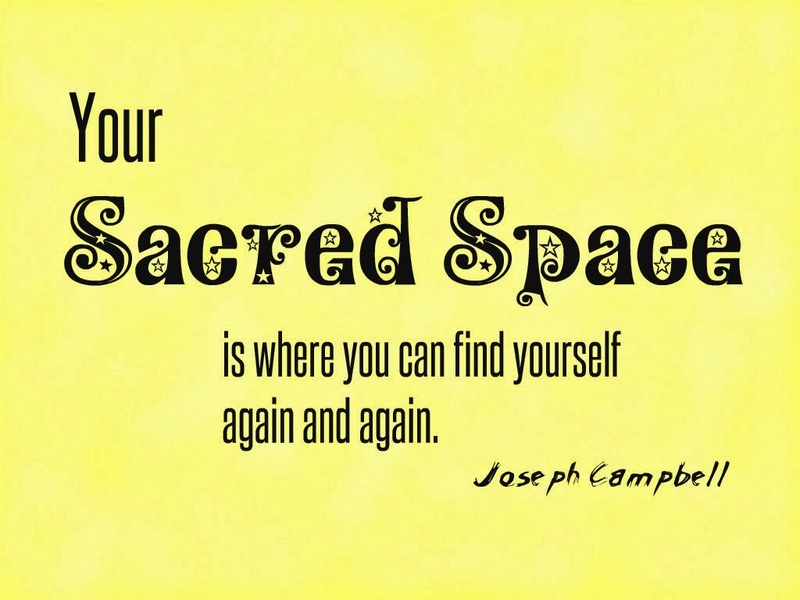 Dedicate a spot in your home as your sacred space. It doesn't have to be an entire room, but if you have a spare room, claim it. If not, your space can be the top of a small table, the corner of a room, a shelf, your walk-in closet, around your bathtub, or any other space that resonates with you. My space is inside my armoire in my bedroom. If you are in alignment with it, create your own altar. Fill it with personal items that hold significance for you. Select materials that you find tranquil. 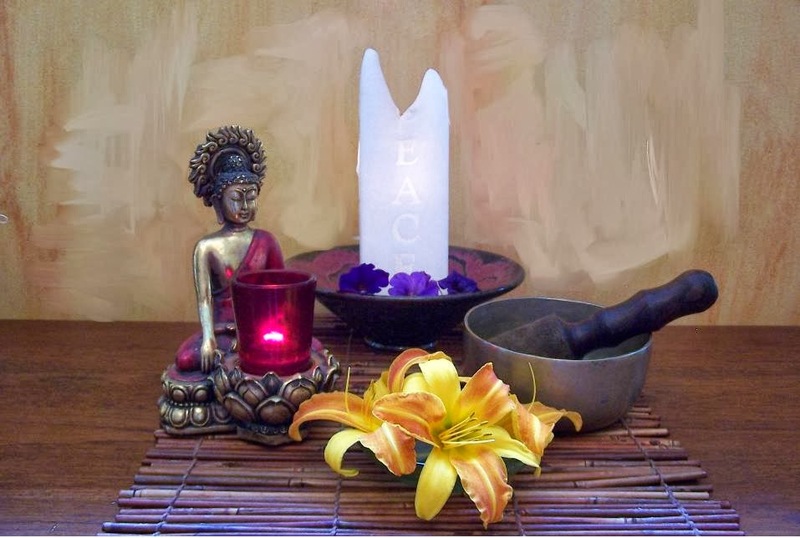 Besides candles, crystals, and incense, a laughing Buddha, a Tibetan singing bowl, and a Celtic cross grace my space. A silk scarf given to me by Buddhist monks during my stay at the Tengboche monastery high in the Himalayas drapes the cross, and represents the divine in all of us, no matter which sacred tradition, or traditions, we may follow. You can use photos, personal mementos, or fresh flowers. Let it reflect your personality and your beliefs. Create a ritual. Once you've created your sacred space, honor it in whatever way best aligns with your belief system. I use it to sit in quiet meditation or reflection. Other times I offer prayers of gratitude, chant a sacred word, speak in tongues, repeat affirmations, or gaze at a candle. For the most part, I surrender to silence and let it take me where it will. Should you choose to create a personal altar, it will become a tangible point of focus for your spiritual practices. But, altar or not, remember that your Sacred Center lies within. You can access it at any time by stilling the mind and body, even if you have to excuse yourself to a quiet location. Your sacred space is your piece of Eden. Let it be the place where silence woos you, nurtures you, and heals you. Let it be a place that you come to again and again. How do you incorporate the spiritual practice of silence in your life? Yes, taking time to be silent is important. That is why I recommend it 20 - 30 minutes twice daily. First thing in the morning and last thing at night. And more if you can. I think it is best, like you say, to get into the habit of doing it rather than waiting until things are so hectic to do it. If you do it as a habit, it is much less likely things will ever get that hectic or if they do, you will handle them in high vibration and grace. That is so true, Kathy. 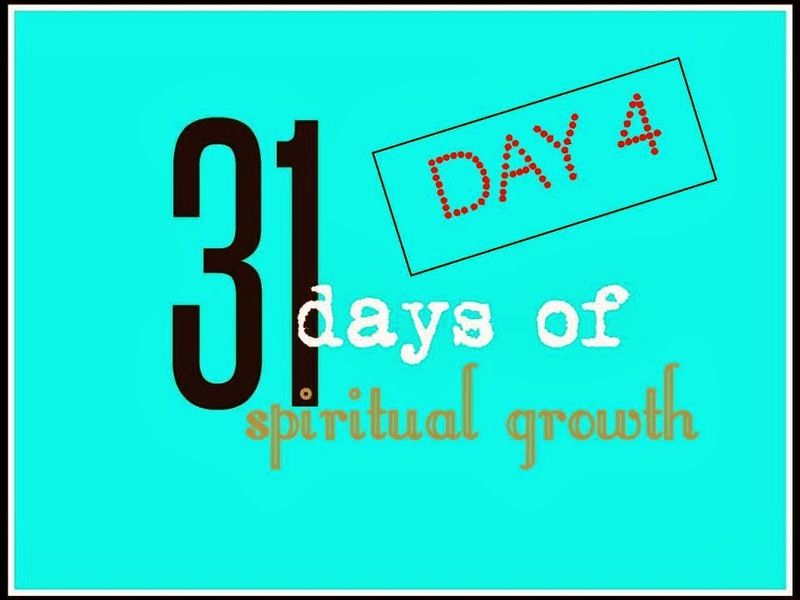 Making it a habit to enter into silence every day as much as we can will certainly guide us and help to make things less hectic in our lives. It is so important to cut out the distractions that try to overwhelm us on a daily basis. It saves our health and sanity. I'll be looking forward to reading your wisdom about creating a special place! Great post! I am lucky enough to live somewhere far from civilisation so it's always naturally quiet here but I also have my own quiet meditation time every day for my inner as well as outer peace. Silence is golden! Andrea, being far from civilization is a gift! Cherish it (which I know you do). Silence is a thing of beauty! Time in silence is so important! I begin my day centered through silence so I can listen to my soul speak. Makes my day so much better!! Hi Peggy! If I don't begin my day in silence with centering, it just doesn't feel the same. It is truly a gift. Silence really is bliss. Each morning upon awaking, before I even get out of bed, I stretch, smile and say, "ThankYou! ", out loud. Its sets the tone for the day. Even on the bumpy days, I find it easier to deal with situations. Of course, I still have all the emotions that challenges bring but the difference is that I find myself holding onto them for shorter and shorter periods of time. In the evening before sleep, I see a beautiful day ahead. I do the same, Cheryl. As soon as I awake, I stretch and say, "Thank you for another day!" And I give gratitude for all that I have. Thanks for sharing this. I usually find my peace on the early morning when I'm saying my rosery or at nite when I'm lying in bed closing my eyes n letting my mind wonder as I try to listen to my angels....I love this new found healing...n I feel so much better.thank you pen.. This sounds like a wonderful ritual. May it continue to bless you. Sending you love and light, my friend. I love silence. Cherish it and.... sometimes can't get enough of it. In our hustle bustle age when there is no end to media of all types, I think people may not even realize that their souls really do cry out for silence. It's like a cool breeze on a summer day. Mmmmmmm, just thinking silence makes me smile. Dina, how can anyone not love the sound of silence and what it does for the soul? Like anything else, it is a practice to incorporate into our daily lives. I'm sure you've observed Type A personalities..they just can't sit still! I get exhausted from watching them! They carry way too much crazy energy for me. LOL. I do, too, Kama. Silence is such a gift. It won't speak to us unless we slow down and give our attention to it. It looks like my first reply didn't take so I'm going to try again. I think you already know this but I live in a forested area so I have lots of opportunity to bill still. I love my moments of silence as they are my most sacred treasures. Gena, those moments of silence are indeed a sacred treasure. I cherish them. Anytime I can get quiet time, I am grateful. The area you are in sounds absolutely beautiful...it's been years since I've been out that way. Whenever I traveled to San Francisco, I always took off to the red wood forests/Muir woods to get away from the craziness of the city. You're right, as life seems to get more hectic, we need to make sure that we have silent moments & encourage our kids to do the same. Even as a stay-at-home/work-at-home mom, we still need those moments of silence (without the tv/radio in the background). Walks are always nice too. Tamara, true, we need to stop and recharge, or we lose our effectiveness and then invite all kinds of chaos or illness into our lives. No thanks! I will take quiet time whenever I can. And you make a good point about encouraging kids to do the same. When I was teaching high school, on the first day of school, I'd teach my students to meditate. I'd have them do it for homework, before tests and exams, or after an intense lesson. They loved it! Thanks so much for stopping by. Sending you love and light.